Workforce analytics may seem like one of the myriad bits of jargon thrown around the business world, interchangeable with an unending series of phrases used to describe a way data-based business management. To the authors of The Power of People, though, it is the only correct term. Unlike other phrases such as “talent,” “human capital,” “human resources,” “people analytics,” and “talent analytics,” workforce analytics was chosen because it overcomes the limitations of the others. It doesn’t simply apply to sales people, programs running metrics, or siloed departments either. In fact, it applies to the entire organization and even leaves room for any future evolution that might—and probably will—include a shifting focus on tools like contract staff or machine automation. The heartbeat of this book is its focus on functional application. Authors Nigel Guenole (@guenolen), Jonathan Ferrar (@jaferrar), and Sheri Feinzig (@s_feinzig) aren’t here simply to explain the complicated nature of proper HR-focused workforce analytics. They want to show business leaders how to properly implement and benefit from these advanced systems. With the mass adoption of analytics collection through Big Data, the Internet of Things, and even wearable device metrics, these days there is enough data available to drown in. The question is: How does it benefit your organization? That’s where The Power of People excels, explaining and demonstrating specific analytics for specific organizational purposes—all while stressing how imperative it is to be purposeful with the information being sought out. Only then can analytics be useful. To show you how it’s done, The Power of People is broken into four sections, each rife with insightful and applicable case examples and studies: Understanding the Fundamentals, Getting Started, Building Your Capability, and Establishing an Analytics Culture. In each of these sections, the authors don’t solely provide a step-by-step how-to plan, they provide insight into why a proper plan works and how it can work for your organization. Through numerous case studies spanning a diverse range of industries, the authors reference and have wisely built this book on the wisdom of top industry thought leaders, supplementing that with their own knowledge gained from years of experience in the field. They realize every organization has specific needs, and their broad range of examples should give any business leader food for thought. By successfully combining and digesting this multitude of views, they construct a broadly applicable, yet highly specific textbook for executing the complicated idea of workforce analytics and distil it to an eight-step methodology. Every concept is explained in-depth and then boiled down into simple transferable strategies—including how to develop the goals of your analytics team and how to build a successful team by properly leveraging your workforce’s best attributes. 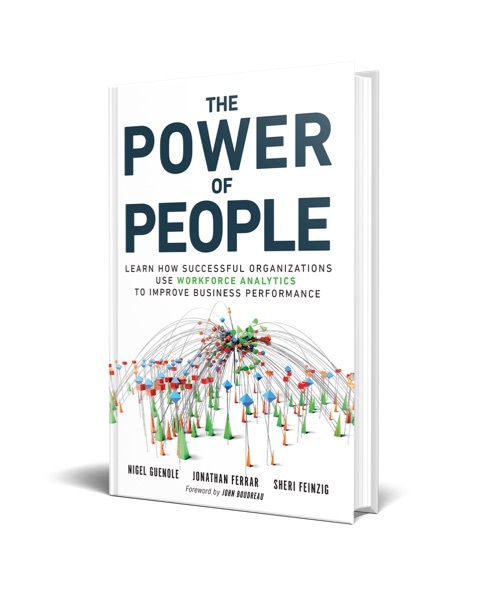 This thoughtful approach to workforce analytics is presented in an equally thoughtful way, using the power of people to show everyone how to harness The Power of People.